We did a day trip from Nice that took us along the French Riviera and to Monaco. It was one of only 3 tours we did this trip. We lucked out - our tour group was a really fun South African family who joked around and poked fun at everything in a good natured way making the whole day more fun. Monaco is such a strange country. How can somewhere so tiny be so rich, have helicopters as an Uber option, and so many fashion model-looking policemen? Ridiculous! 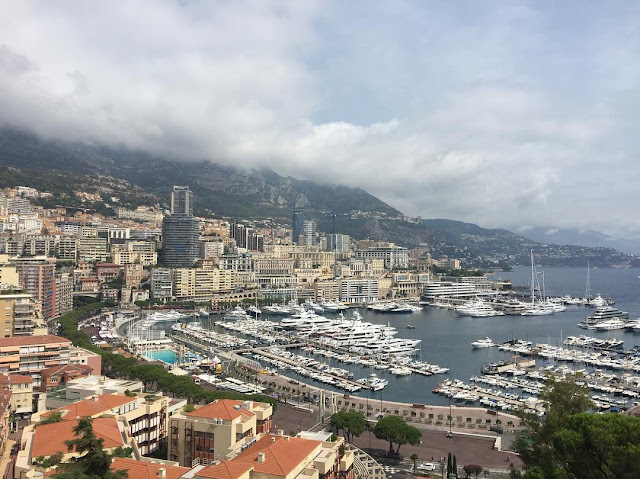 We basically did this tour because it included Monaco and Little Sissy Pham’s boyfriend is a mad Formula 1 fan and this tour took us to Monte Carlo along part of their Formula 1 track. We got to see the starting line, but then a Harley Davidson festival and hundreds of bikies closed down the infamous tunnel so we couldn’t drive through. Worst timing. The country will forever be the first time I’ve seen an elevator weight limit get triggered. The tour group went up in the lift together, but then we all had too much to eat at lunch, and on the way down the tour guide sacrificed himself for the overweight tourists and ran down the stairs. Achievement unlocked. We visited a small town called Èze - a gorgeous stone town with gardens along its cliffside. The whole day was filled with picturesque locations like this. Afterwards, we went to Cannes which I found underwhelming. The beach is nice but the whole beachfront was covered in hotels and not nice cute buildings like in Nice. We also went to Antibes, the deepest natural port and had a quick walk around the town. To end the day, we went to Saint Paul de Vence the second most visited small town in France. It's ancient and beautiful and set on a mountain top and full of art galleries. We only had one hour there but if I had more time it would have been nice to look at all the galleries. I was drawn to the street art vendors but there was anything and everything there.